Big celebrity guest news just dropped for Star Wars Celebration Orlando 2017! 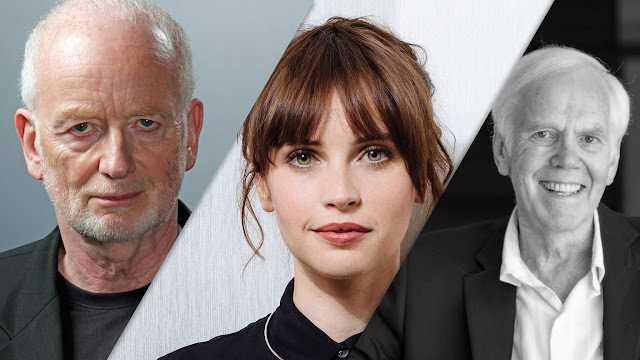 It has been announced that Rogue One: A Star Wars Story's Felicity Jones (Jyn Erso) will be in attendance at the convention alongside Ian McDiarmid (Palpatine) and Jeremy Bulloch (Boba Fett). Look for the trio at the Celebration Autograph hall along with all the other signers. "Having Felicity Jones at Star Wars Celebration to meet all the amazing Star Wars fans is important to us. She's become an integral part of the Star Wars universe and was immediately loved by fans around the world. We are proud to have her in our first group of announced guests." Autograph and photo-op prices can be found over on StarWarsAuthentics.com! Star Wars Celebration Orlando takes place April 13th - 16th at the Orange County Convention Center in Orlando, Florida.